Ibiza (film, 2018). A 2018 American romantic comedy film by Netflix. Directed by Alex Richanbach. Official Trailer. Ibiza is a 2018 American romantic comedy film directed by Alex Richanbach. 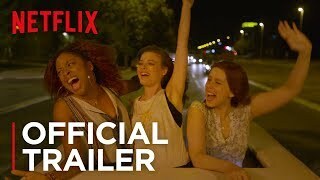 Ibiza l Official Trailer l Netflix. When Harper's two best friends, Nikki and Leah, tag along on her work trip to Barcelona, they ditch work and fly to Ibiza. Harper, against her better judgment, falls for Leo, a hot DJ. Principal photography began on September 5, 2017. The film Ibiza was scheduled to be released by Netflix on May 25, 2018. Ibiza got high rating from critics. But the audience dislikes the film.